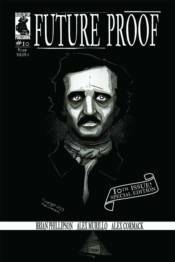 The future is nevermore! Puzzling orders from the Sing continue as James and Simon find themselves in 1840's Baltimore where Edgar Allan Poe leads them down a spiraling tale from one of his infamous poems. The poet tormented in a twisted plot of life mimicking art. Meanwhile, Simon battles his own demons as troubling memories of his past life haunt his poor soul. Follow our time-traveling duo once more!